Ok, so don’t get mad at me, but I am wishing the summer away. Why, you ask? Well, because after summer comes my most favorite time of year — Fall! I am noticing a certain theme among many of the DIY bloggers that I follow and that is that we all seem to really love Fall. How could you not, though? Everything from the crisp colors, the leaves, pumpkins — even the fashion is amazing. Who doesn’t love a chunky sweater with a great pair of boots? This week I have started to plan out my Fall front porch. It is our first Fall in our new home and I really want to do it up nice. Don’t worry I am not going to be the kooky lady on the block with her porch decorated for Fall in the middle of August, but I am definitely in plan mode. 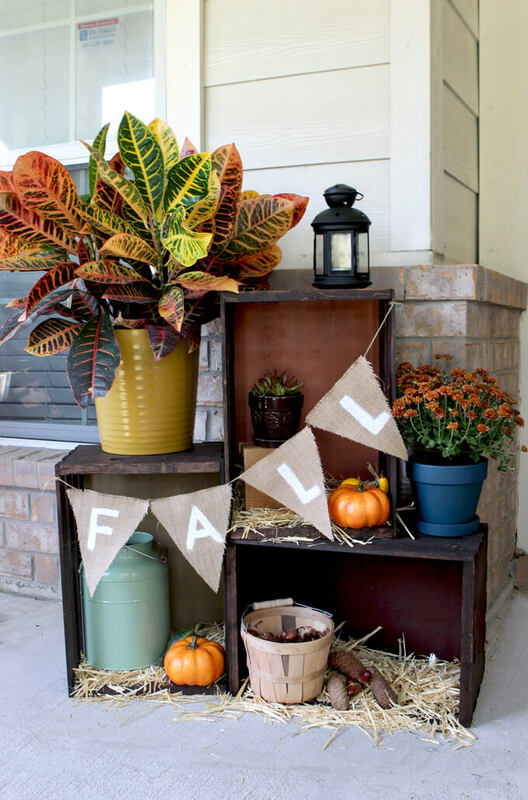 If you’re ready to plan, too — take a look at some of these gorgeous Fall front porches to get some inspiration. 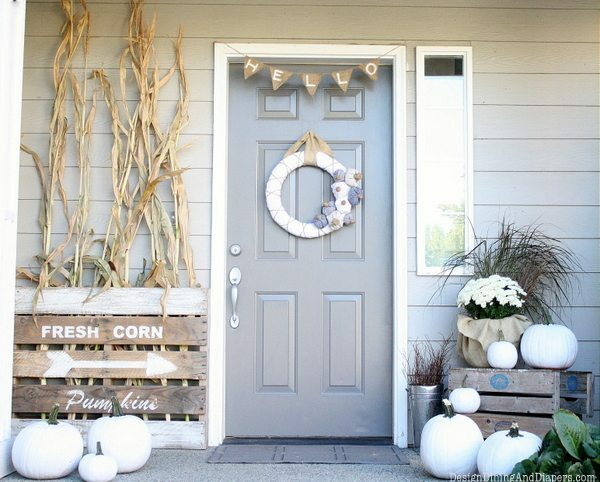 Make sure you have all these ideas when it comes time to decorate your porch! Pin this image to your design board! Know someone that loves Fall? Make sure you share this with them, too! Looking forward to decorating my porch as well. I love the fall colors! You’re welcome! So glad you enjoyed the post!